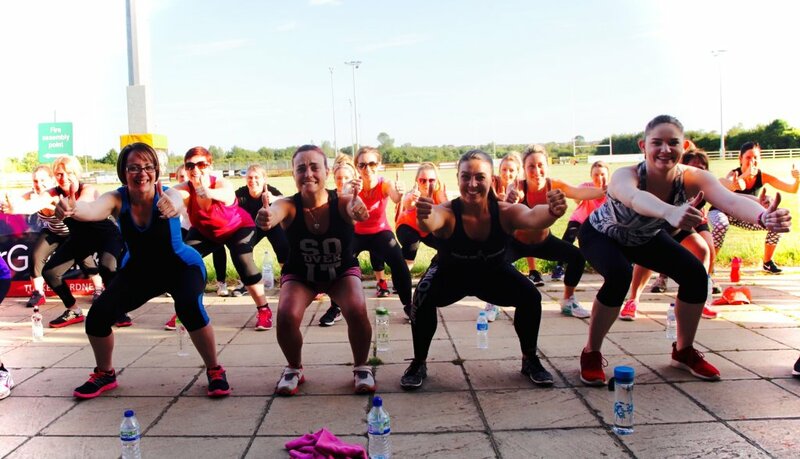 Learn more about Nick Le Wechner’s HOP® class in Isleham & Soham and find out why we’ve made it our Featured Class! You can also read inspiring TESTIMONIALS from Nick’s Class Participants and find out how their local HOP® class has been impacting their individual lives! The HOP® Team success at SENI 2014! 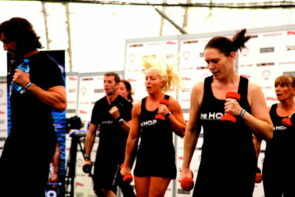 Fitness4x4® had a weekend full of challenges & demonstrations at the Seni Combat & Strength Show in London’s Soccerdome. 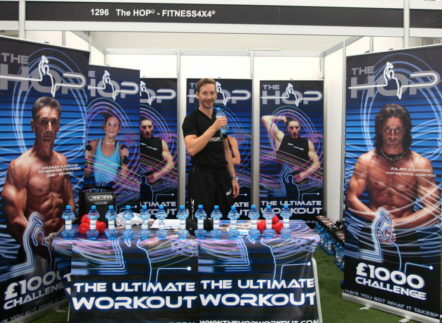 Supported by an enthusiastic and talented team of HOP® instructors who took every opportunity to not only demonstrate the full intensity of the HOP® Workout but also to talk to interested members of the martial arts and ‘fight’ community who were intrigued by the workout and its potential for their own training. 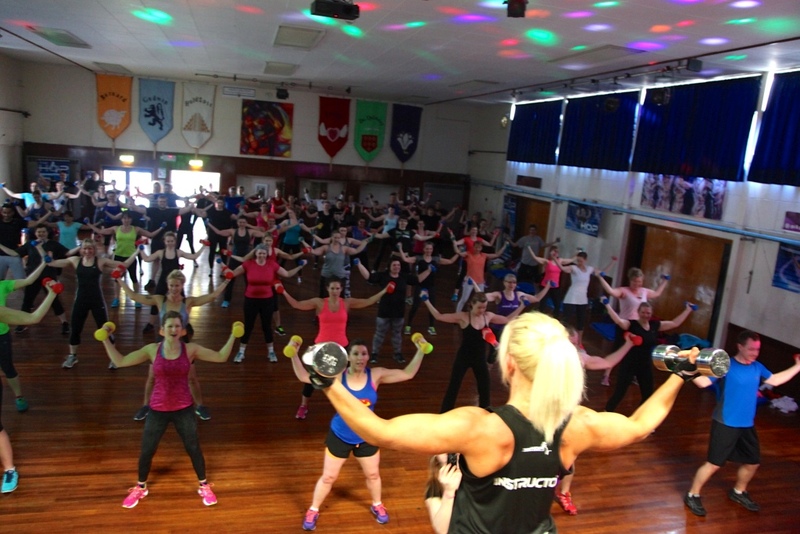 As a familiar part of this promotional process, and as Fitness4x4® has done right from the beginning, Challenges were hosted with real prize money offered, all in the name of proving the effectiveness of this approach to training. 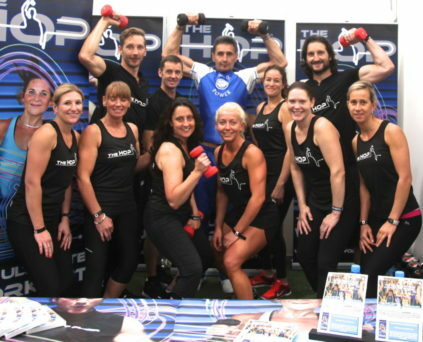 First up was the all-new HOP® 1000 Challenge, offering £1000 to anyone who could survive just 15minutes of the standard HOP® workout…but obviously using the same dumbbell weights as the Instructor – in this case, 7.5kgs, and Rajko Radovic, National Director for Fitness4x4. Two challengers duly stepped up to try to claim the £1000 prize and gave their very best. But as was the intended conclusion, both ultimately failed to survive even a third of the 15minute challenge. Such is the level of upper body muscular & cardio conditioning demanded by a full intensity HOP® workout with heavy dumbbells. Day 1’s Challenge finished with a power-packed Instructor DEMO, set to the breakbeats and guitar riffs of the all-new RockHOP™ Soundtrack. A team of instructors in matching uniform, perfect synchronisation & using the mandatory instructor dumbbell weights of 3kgs (female instructor minimum) and 5kgs (male instructor minimum), took the audience through a dynamic, condensed representation of the workout, leaving an indelible impression on the audience of actually how enjoyable & empowering it is to utilise this training approach, which can sometimes appear after a Challenge as out-of-reach for anyone but father or son. 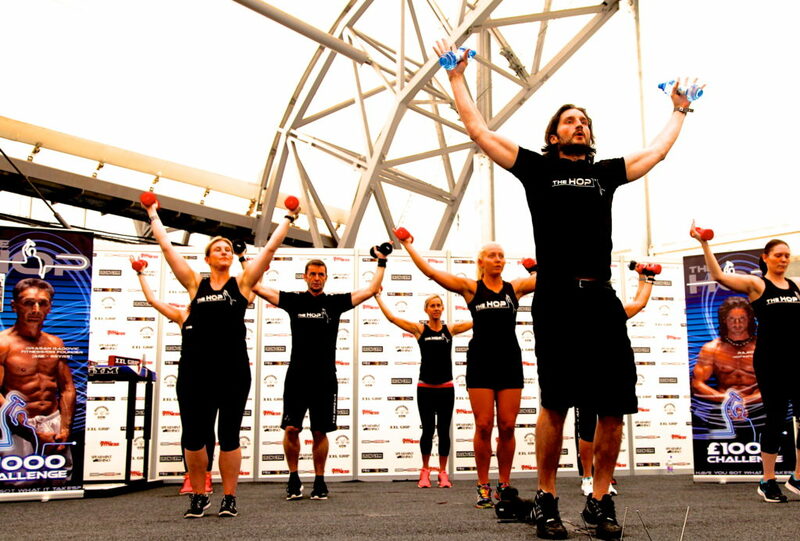 The Demo, featuring male and female instructors of a range of ages but with equal capability, showed what this workout is truly about, and what passion it inspires in its instructors and participants. 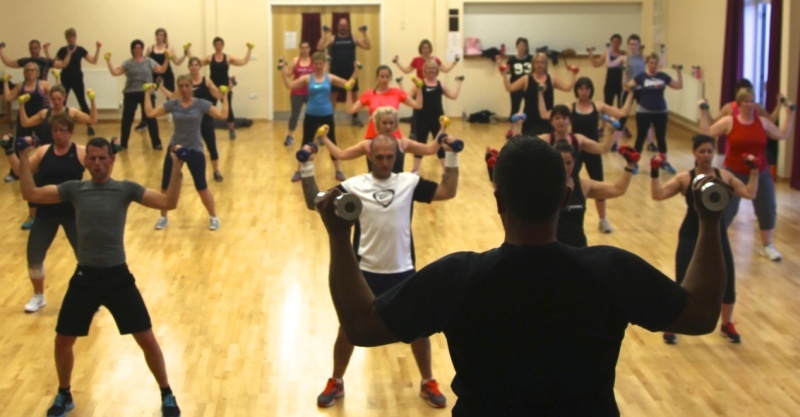 Next up, on day two, came the Dragan Challenge, where Fitness4x4® Founder Dragan stepped up and took on all-comers in a new variation of the DC featuring lighter dumbbells and a combination of movements rather than the familiar Curl & Press. Add to those a simple behind-the-head Tricep Curl, and there you have the 3 movements of Dragan’s current challenge. A slightly more complex challenge to operate, with more variables and more happening on stage, but in the end, the familiar (and yet ever increasingly impressive) conclusion was that nobody could get even close to the now 65yr old Dragan. Circling the stage as he performed his combination curl-press-curl, Dragan literally ran rings around his challengers, showing yet again not only the determination to remain unbeaten but more to the point, a level of fitness and conditioning that most men half his age would be proud of. 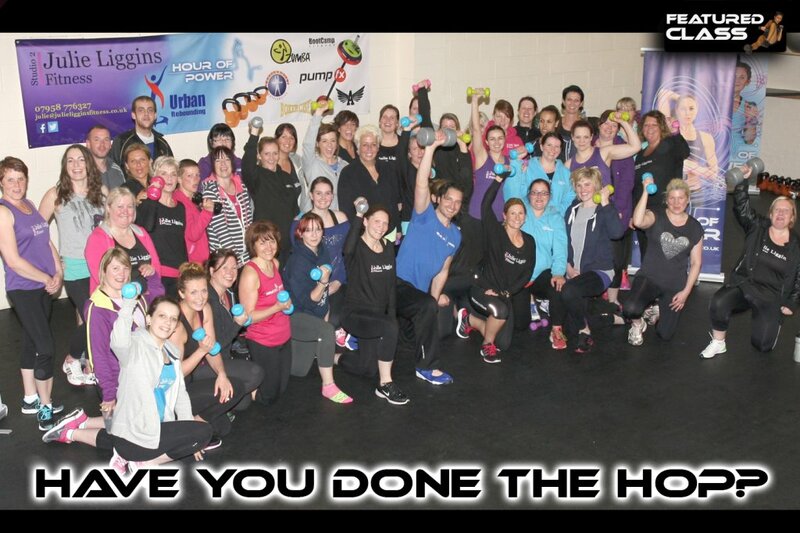 A big thank you from Fitness4x4® to everyone from the HOP® Instructor Community who contributed to the weekend’s promotions and challenges. All in all, around 12 HOP® Certified Instructors + some willing friends and volunteers contributed their time & efforts during the course of the weekend and all performed brilliantly! Ian, Julie, Michelle, Julie, Lisa, Nora, Silva, Zynab, Jude, Luka, Ben, Nicola and friends…thank you!